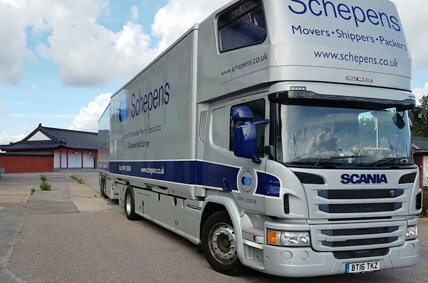 Schepens specialise in removals to France from the UK and have decades of experience performing European and international removals. We provide an efficient, cost effective removals service to all areas of France, without compromising the quality of service on which we have built our reputation. Due to the heavy volumes of traffic we transport, we currently offer a regular service to most destinations and we are therefore able to provide more economical rates than other UK movers without compromising our service. Our drivers have helped hundreds of people relocate to France over the years and know the country well. These vehicles run on air ride suspension and boast an adjustable bearing system, which ensures little or no movement of vehicle contents. These bars also enable us to create partitions between consignments which prevent cross contamination. Our vehicles are alarmed, offering additional security and peace of mind when travelling through France. 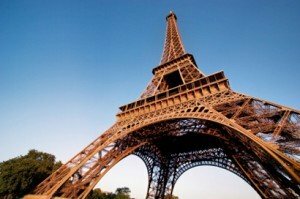 Why use Schepens for removals to France? 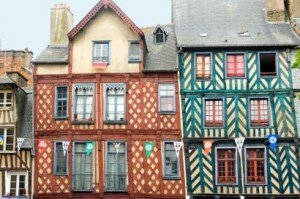 Schepens has a proud history and decades of experience helping people relocate to France. We provide outstanding customer service and can make moving house a stress-free experience. Our staff are out strongest asset. All of our movers are highly experienced with removals to France and are trained to British Association of Removers standards. Our movers focus on safety, efficiency and reliability. Our modern removals trucks use air ride suspension and an adjustable bearing system to greatly reduce the risk of breakage during the journey to France. All vehicles are alarmed for security to reduce the risk of theft during the ride to France. Schepens can provide high-quality packing materials for your possessions. Schepens have been performing international removals for decades and our team is highly experienced at dealing with the logistics involved when moving to France. Our international removals service is safe, efficient and cost-effective. The best way to safely pack your fragile possessions is to get an experienced mover to do the work. Schepens Packers understand how to best protect fragile items for a long journey across France. 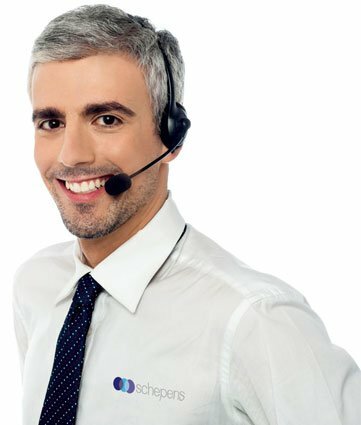 Schepens staff are highly experienced at dealing with customs arrangements in a number of countries. We can help you relocate to France quickly and easily. All vehicles, personnel and the items being transported are completely insured when you relocate to France with Schepens. If an accident occurs, you are completely covered. Optional extended liability coverage is available to cover injuries to third parties. Paris, Dordogne, Languedoc, Charente, Bordeaux, Limoges, Toulouse, Nice, Lyon, Brittany, The Alps, Perpignan, Montpellier, Monaco, Normandy, Marseilles, Lille, Loire, Rouen, Nancy, Dijon, Nantes, Brest, Grenoble, Burgundy, Versailles, Valence, Toulon, Provence and many more. If you plan to enrol your child at a school in your commune, initial enquiries should be made at your mairie (town hall), where you will be advised on who to contact and how to complete the various formalities. Children should be enrolled before June to start school in September. Home-schooling is legal, but you must speak to the mairie if you intend to take this route. France also has also private schools and some international schools. The following information applies to state schooling in France. Ecoles maternelles (nursery schools) accept children from the age of 2. Sending your child to maternelle, although not compulsory, is the norm, and is free of charge. Maternelle has three sections. Ages 2 and 3 go into Petite (Little) section, 3-5s into Moyenne (Middle), and ages 5 and 6 into Grande (Big). Compulsory schooling begins at the age of 6. Children enter primary school (école élémentaire) in ‘year 11’ (also known as Cours Préparatoire 1/CP1), and reach ‘year 7’ by the age of 10-11. They then move up to collège (secondary school) to enter ‘year 6’. In ‘year 3’ (troisième), by which time they will be 15 or 16, they sit an examination known as the brevet des colleges, or simply the brevet. Each child then decides, together with parents and teachers, whether to continue in education and if so, which subjects to specialise in and which qualification to aim for. If continuing, they study for a further 3 years (Seconde, Premier and Terminale) at the appropriate lycée before sitting their chosen Baccalauréat, or ‘Bac’. It’s not uncommon for the school to ask a child to repeat (redoubler) a year. In the UK this might be considered a stigma, but not so in France. The rationale is that since children develop at different rates, some of the class will have inevitably fallen behind their peers at the end of each year. It’s seen as preferable to give those children a chance to catch up and start the next year on a level footing, rather than move them up when they are already struggling, and risk causing them to fall further behind. The French school year is broadly similar to that in the UK, beginning in early September; exact dates vary slightly from place to place. A means-tested grant to help parents buy books and equipment, the allocation de rentrée scholaire (ARS), is paid to the parents of children in primaire and above. Fees at most universities are low, and all students who pass their Bac are entitled to a university place. The fall-out rate amongst students is, however, very high. If your life in France is dependant upon finding employment, the wisest approach is to land the job before making the move. France’s high unemployment inevitably means keen competition for jobs, so patience is a virtue and good language skills are desirable. Although you must be prepared to go to France if offered an entretien d’embauche (job interview), viewing vacancies and submitting applications can all be done online, either via the government jobsearch site or through private agencies. You can also send speculative applications to potential employers. Equivalent to the UK’s Job Centres, every large-ish town has one, and their advisors can be extremely helpful. Jobseekers should register at the Pole Emploi because for some vacancies, only registered jobseekers will be considered. Registered jobseekers needing to improve their French may be offered free tuition. And if you want to start a business, being a registered jobseeker will make you eligible for free business advice and support. Again, you’ll find branches in biggish towns, or you can sign up online. You’ll probably come across a few familiar names: Manpower, for instance, has a strong presence in France. French employment agencies operate along the same lines as their UK counterparts. CDI (contrat à durée indéterminée) – permanent contract. CDD (contrat à durée déterminée) – fixed-term contract. This may for instance be for seasonal work, or for maternity cover, or the initial term may constitute a probationary period after which the employee would hope to be offered a CDI. Employers are not allowed to fill the same post indefinitely on CDDs as a means of avoiding the obligations inherent in a CDI. CTT (contrat de travail temporaire) – a contract with a temp agency for a temporary job (also called contrat d’intérim). A job application should include your CV (in French) and a lettre de motivation (letter of motivation) in which you explain why you are the right candidate for this job. Great importance is attached to the lettre de motivation; a Google search will bring up lots of examples which you can use as a model. French employers may look baffled when presented with UK certificates. Consider asking the awarding body for a course transcript, which you can have translated and append to your certificate. For trades where there are significant differences between French and English working practices, such as plumbing and electrical work, retraining in France may be necessary. Don’t underestimate the power of jobseeking through informal channels. Many a vacancy never reaches the official job listings, but is filled via a postcard in a shop window, word of mouth, or a speculative CV that the employer has kept on file. From Mardi Gras carnivals at Nice and Granville to medieval pageants at Carcassonne; from the international fireworks festival at Cannes to the international gastronomic fair at Dijon; from fêtes foraines (fun-fairs) to harvest festivals – conviviality is an integral part of French life. 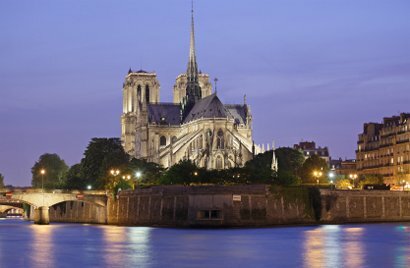 France’s first national Fête de la Musique was held in 1982 and has become an annual event, with free concerts in every big town on June 21st. And throughout the summer months, music festivals take place all over France: world-famous jazz festivals at Juan-les-Pins, Grenobles, Nice and Coutances; baroque, classical, opera and dance at Beaunes, Aix-en-Provence, Orange and Avignon; while Brittany has a thriving tradition of Fest Noz – festivals of Celtic music and dancing. Regional gastronomic specialities are at the heart of many colourful local fêtes. 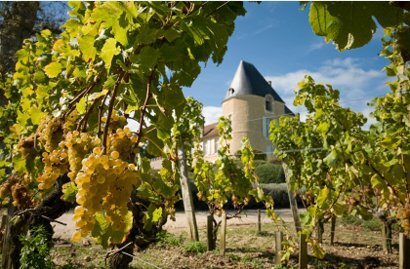 Autumn in Normandy is fragrant with apple and cider festivals, the best-known of all being Vimoutiers’ Foire de la Pomme. There are famous black pudding festivals (Mortagne-aux-Perches, Cholet), andouille festivals (Val d’Ajol, Vire), sausage festivals (Morteau, Grenade), countless wine and grape festivals, cheese festivals, bread festivals, chocolate festivals and more. Christmas Day in France is a family occasion first and foremost, generally celebrated at home with a special meal. Père Noël, or Papa Noël, brings presents for the children. In the run-up to Christmas, towns and villages are prettily decorated with trees and lights, and many hold Christmas markets. But Christmas is not a time of wild partying or extravagant spending, and the custom of sending Christmas cards barely exists. There is no Boxing Day in France; the 25th is a national holiday, but it’s business as usual on 26th. In many French families, the time for giving presents, sending cards, holding parties and going out for festive meals is not Christmas but New Year’s Eve, known as Saint-Sylvestre. Without question, France’s biggest national extravaganza is what the British often call Bastille Day, but the French refer to as ‘le quatorze juillet’. Festivities start on the evening of 13th, with truly spectacular firework displays all over France and partying that is likely to continue all night and into the next day. The 14th is a national holiday, when even shops that opened on Christmas Day will almost certainly be closed. Many towns arrange fêtes, parades and all manner of street entertainments, sometimes a whole week of events. 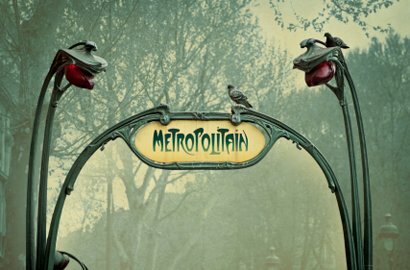 If you’re in France at this time, it’s well worth finding out what’s happening near you and going along. France’s 14th July celebrations are not to be missed. National holidays in France differ from UK bank holidays. In most communes the Pompiers (emergency services) produce a calendar to raise funds; a Pompiers calendar will ensure you’re never caught unawares by a national holiday – and by buying one, you’ll be contributing to a very worthy cause. The French state healthcare system differs significantly from the UK’s NHS. 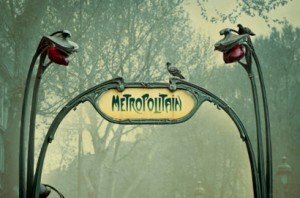 This article outlines some of the aspects of the system that people moving permanently to France from the UK ought to be aware of. If you don’t intend to work or run a business in France, and are not a dependant of someone who is in the French system, you will probably need a form S1 to entitle you, initially at least, to state healthcare. You should apply for an S1 well in advance of leaving the UK. If you’re retired, contact the DWP Overseas Healthcare Team (0191 218 1999); if you’re going to continue working in the UK, contact HMRC. France’s criteria for giving early retirees from the UK long-term access to French state healthcare have been under review recently, and certain ambiguities have arisen. Early retirees should keep checking the latest situation regarding their entitlements. Anyone living permanently in France who does not meet the criteria for joining the state health service must take out private health insurance. If you’re employed under a French work contract, or if you’re self-employed or run a business in France, you (and your employer if you have one) will pay contributions to the healthcare system. Compared to NI contributions in the UK, contributions sociales are quite high. This card contains a microchip which confirms your identity and social security number. When you pay for consultations, treatment or prescriptions, you will be asked for your CV. Your reimbursements will then be refunded automatically into your bank account. If you don’t have a carte vitale, or the health provider doesn’t have a card reader, you’ll be given a document called a feuille de soins. This must be presented to your caisse d’assurance, along with proof of entitlement, to claim reimbursement. Since the state only reimburses a proportion of your medical costs, you are expected to take out ‘top-up’ insurance. Numerous private companies and mutuelles (non-profit) offer top-up policies ranging from basic hospital plans, to comprehensive policies that can cover almost every expense you are ever likely to incur. Take advice, get several quotes, and read the small print. (Caisse Primaire d’Assurance Maladie) is the largest of the numerous state organisations that deal with contributions and reimbursements. If you hold an S1, you will register with CPAM and your reimbursements will be processed by CPAM. Other caisses include URSSAF and the RSI (Régime Social des Indépendants) which deal with employers and self-employed. and for a detailed explanation (in English) of the French healthcare system, click here. Keeping on top of household bills becomes second nature when you’ve lived in the same place for a long time. You know what bills to expect and when, and how to pay them. You know how to switch suppliers, cancel contracts, change insurers, and who to call for technical assistance or to query an invoice. These are things you’ll soon find out when you start living in France, but here are a few tips to get you off to a flying start. Most utility companies offer alternative payment methods, schedules and tariffs. 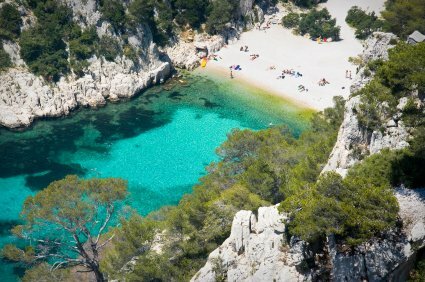 Paying by direct debit (prélèvement) is the norm in France, but there are other options. You may also have a choice between monthly or quarterly billing. It’s worth spending a little time finding out what your options are, before agreeing to the method your supplier initially proposes. Details of the various payment options can be found online. Utility companies’ websites are generally user-friendly and offer a wide range of customer services. Once you have set up your ‘espace client’ you can check your bills, submit meter reading, ask questions, change your payment method, update your personal details, opt for paper-free billing, and so on. France has a limited choice of energy suppliers, so you are unlikely to do much chopping and changing. However, you may find more competition between broadband (adsl) providers. If you wish to cancel a service, be aware that each company lays down formal procedures which you must follow. Simply writing a letter, as you would in the UK, rarely suffices. Many providers require you to complete a ‘formulaire de résiliation’, which can be downloaded from their website. Unlike in the UK, if you ignore renewal notices your policy will not simply lapse. Unless you have followed the correct procedures, as specified in the policy’s terms and conditions, the insurers will legitimately continue to pursue you for premiums. So if you are thinking of switching, make sure you know when and how to cancel your existing policy. Utility companies with English-speaking helplines include France Telecom (09 69 36 39 00) and electricity supplier EDF (05 56 17 40 70 or email: simpleenergywithedf@edf.fr). Whenever you send an important document to a supplier by mail, such as a letter cancelling or modifying a service, you should always use registered post, which gives you proof of delivery (Accusé de Réception or AR). Every French person knows instinctively to do this. If any dispute arises, the first thing you will be expected to provide is evidence of the date your letter was received. Forewarned is forearmed! 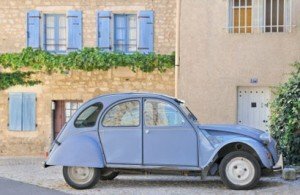 If you decide to keep your UK vehicle when you move permanently to France, you must tell DVLA you are exporting it, and re-register it in the French system. The registration document, or certificat d’immatriculation, is commonly referred to as the carte grise – ‘grey card’. You must keep this in the car with you. If you take your car to a garage, they will ask for it. A contrôle technique certificate (CT) is needed for cars more than 4 years old, and remains valid for 2 years. The test is carried out at a CT testing station, not a garage; CT stations do not carry out repairs. Your sticker, showing the CT expiry date, must be displayed on your windscreen. French car insurance covers the car, not the driver as in the UK, and normally includes breakdown cover; consequently, France has no RAC/AA equivalent. Continuous insurance is a legal requirement, even for cars kept off the road; before cancelling your policy, your insurers will require evidence that the car has been sold or scrapped, or that you have arranged insurance elsewhere. A valid insurance sticker must be displayed on the windscreen. There is no road tax in France. Unlike the UK, where you accumulate points for traffic offences, in France you lose points for infractions. When you have lost your 12 points, a ban will be triggered. France has severe penalties for offences such as drink-driving and extreme speeding. You may drive in France on a valid UK licence, but if you incur penalty points, you will be obliged to change it for a French licence so that a tally can be kept of your points. You must have your licence with you whenever you drive. To be towed by a French-registered vehicle, caravans and trailers over 500kg must be registered in their own right and display their own number plates; they cannot share the towing vehicle’s number. A motorhome being re-registered in France must pass a habitation check to ensure that gas installations etc. comply with French normes. The code de la route contains numerous rules that have no equivalent in the Highway Code … Do you understand priorité à droite? and did you know that when overtaking a cyclist in France you must leave a minimum gap of 1.5m between your car and the cyclist’s left shoulder? Banking options include high street banks, the post office bank La Poste, internet banks, and Crédit Agricole’s English-speaking ‘Britline’ which offers services online, over the telephone and by post. To open a ‘résident’ account you must reside permanently in France, i.e. be a French taxpayer; otherwise, you should apply for a ‘non-résident’ account. In either case, be prepared to provide supporting documentation such as birth certificate, passport, proof of address, financial/fiscal statements and references, etc. ‘Free banking’ is not a widely-known concept in France. The lowest-cost deals can often be found amongst online banks. Most French banks charge a monthly fee with additional charges for the issue and renewal of bank cards, internet banking, and other services. They normally offer a range of account packages, with tariffs to reflect the different levels of service. On French cheques, the amount in words is written first, and the name of the payee afterwards. You also write the name of the place where the cheque was issued, as well as the date. Whenever you pay a cheque into your account, you MUST ALWAYS sign it on the back. Paying bills by direct debit (prélèvement) is common practice. When setting up a prélèvement, you will be asked for a RIB – Relevé d’Identité Bancaire. A RIB is a slip of paper giving details of your name, account number, and the international numeric identifiers (IBAN/BIC) of the bank. You’ll find RIBs in your chequebook to tear out and send, and many cash machines will print them out. People unfamiliar with this system may initially feel uneasy about disclosing their bank details, but in fact it is perfectly normal in France for suppliers to ask for a RIB. Taxe foncière is paid by the property owner. When a property changes hands, that year’s tax is normally apportioned between seller and buyer. Taxe d’habitation, together with television tax if there is a TV set on the premises, is paid by whoever occupied (or was entitled to occupy) the property on 1st January. Some communes charge separately for rubbish collection. Billing is per calendar year, and demands are sent out by post during the fourth quarter of that year. The amounts vary hugely from commune to commune. Permanent residents may be eligible for concessions. Every permanent French resident is responsible for submitting an annual Déclaration de revenus. The tax year runs from 1 January to 31 December and paper déclarations are due by the 31st of May the following year. A little later for internet, but only from the second declaration onward. Forms can be obtained from the local tax office. To pay property taxes by monthly instalments, you must apply in advance and commence payments in January. Otherwise, bills are payable in full upon receipt. As a leading European removals company offering clients part load removals to France. Our team of talented professionals has the experience, people-skills, and technical knowledge to make removals from the UK to France simple! We are a family-owned company that was established more than 100 years ago. We are very proud of the company that we have built and enjoy providing a removals service that is affordable, efficient, and safe! Schepens are experts at part load removals to France and other European countries! It is an affordable option and an excellent choice for customers with a small amount of cargo. All part load removals that use the road network are performed using our highly specialised removals vehicles with air ride suspension and an adjustable barring system to protect your cargo. HOW DOES A PART LOAD REMOVAL TO FRANCE WORK? Part load removals combine cargo from multiple clients to fill up a cargo container or large removals truck. When multiple clients share a single container, their cost of their removals service is significantly reduced. It is also useful for clients who are only moving a few boxes or the contents of a small apartment. Schepens offers a professional packing service that works well in conjunction with part load removals. If you select this service, our experienced removers will securely pack your possessions into durable packing boxes for you. Your possessions are also inventoried and photographed before being added to boxes. We then deliver your cargo to a processing facility where it is packed onto a palette. The cargo is secured with high quality packing plastic and clearly labeled. The cargo palettes are secured using heavy duty packing straps. When there is enough cargo to fill an entire cargo container or removals truck, your cargo is loaded and the removal begins. Once your cargo arrives at its destination in France, our skilled removers unload it and dispose of the packing materials. WHY USE PART LOAD REMOVALS TO FRANCE? Part load removals to France are an excellent choice for clients who have a small amount of cargo and are happy with a flexible delivery window. Clients who are on a tight budget or want to save money are advised to opt for a part load removal also. Our team often helps clients move from the UK to France. This helps us quickly arrange part load removals to France and offer clients flexible scheduling options. The frequency of our journeys to France also means we know the most efficient routes to take within the country. The large quantities of cargo that we ship around the world each week allows us to obtain bulk discounts. These savings are passed onto clients to make us one of the most affordable options. Our part load removals service makes us even more affordable! Each potential client receives a custom quote that is tailored to their specific requirements. There are no hidden extras or unnecessary services. Our quotes for part load removals are also highly detailed and 100% free! Our European removals to France are managed by one of our talented move coordinators. They are highly experience removers who will make the removals process easy! Your move coordinator will explain each step of the removal, answer any questions you have, and even help you complete customs paperwork. Schepens has a strong focus on cargo security. All removals are performed using alarmed containers and highly trained removers who are security-checked. We also use electronic and photographic tracking to monitor the location and contents of all containers. We make a point of hiring talented staff who have the right skills for working in the removals industry. All of our movers are trained to British Association of Removers standards — the leading industry standard. IF YOU ARE INTERESTED IN A PART LOAD REMOVAL TO FRANCE, CONTACT SCHEPENS TODAY ON 01794 323558 FOR AN OBLIGATION-FREE QUOTE! SCHEPENS HAS THE EXPERIENCE AND LOCAL KNOWLEDGE TO PROVIDE YOU WITH ANY KIND OF FRANCE REMOVAL SERVICE. CONTACT US TODAY ON 01794 323558 TO GET A FREE, NO-OBLIGATION QUOTE!